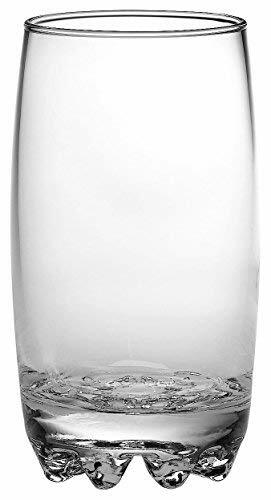 Stock your bar with this set of three elegant and unique Galassia long drink glasses from Bormioli Rocco. 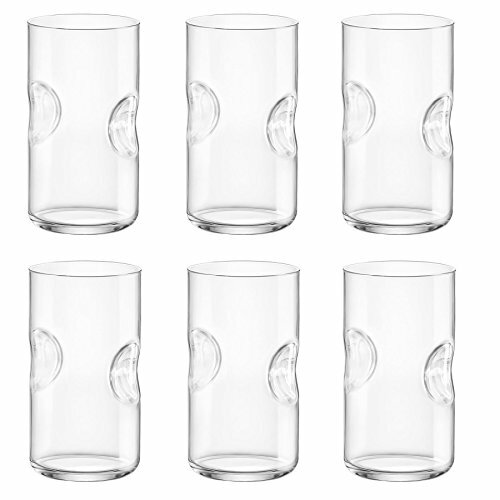 Crafted from clear, tempered glass, these eye-catching glasses feature a footed bottom that gives them an instantly recognizable look. This set is a great way to start your bar or drinkware collection or an excellent and thoughtful gift for a friend. 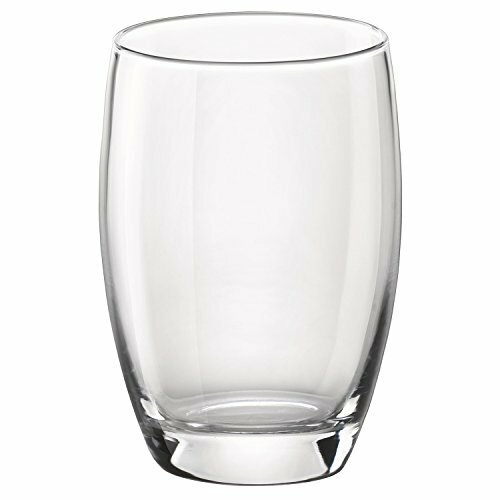 Even better, all glasses are dishwasher safe for easy clean up. The fine tradition of the Bormioli Rocco Group coincides with the very history of glass: the first glassworks was established in Parma in 1825. The company has always demonstrated a great drive to pioneer innovation: in machinery, materials and design. Over the years it has developed a special talent, that of combining time-honored craftsmanship and the passion of master glassmakers with modern industrial processes. Bormioli Rocco is the leading company in its sector in Italy and a great ambassador of the Made in Italy label on international markets. Respect for tradition, passion for good taste and constant research and innovation are Bormioli Rocco's milestones to create products that meet the needs of the consumers. For Bormioli Rocco the respect for the environment; it's a must so its entire manufacturing process is oriented towards a mission of social and environmental responsibility. 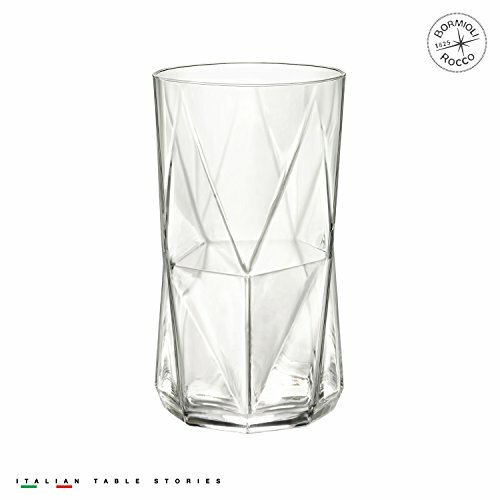 Bormioli Rocco Essenza Cooler glasses are a perfect blend of contemporary style and functionality. 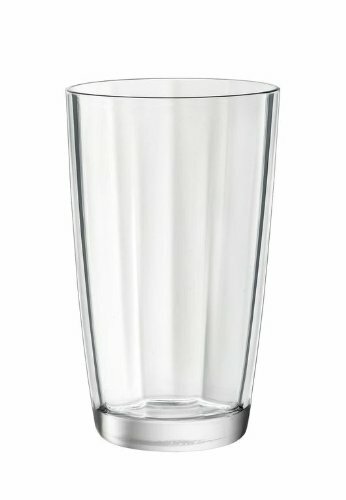 With a soft, round shape and a thick bottom, the 16 ounce Essenza Cooler glass brings a modern elegance to your next cocktail party. Set of four. Dishwasher safe. 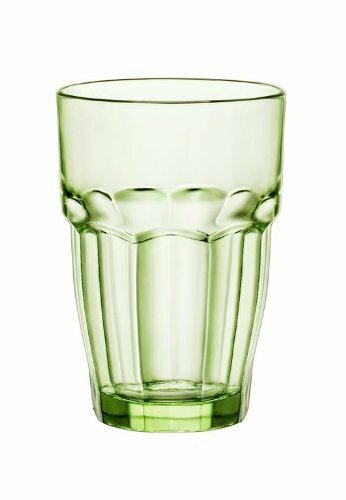 The Giove range of Highball Cocktail Glasses from Italian glassware specialists Bormioli Rocco is the perfect way to add a dash of colour to your table setup.Each cylindrical vessel features two large coloured dimples - mix and match across the range to give your dining room a real Bohemian vibe, or stick with one shade to provide a subtle dash of colour (perfect for minimalist or Scandi homes).The concave shape offers inbuilt protection against scuffs and scratches, ensuring your colours will remain bright and beautiful for years to come.The generous 490ml capacity makes these tumblers perfect for serving everything from cocktails and hiball drinks to beers, soft drinks, juices and water.Like all Bormioli Rocco products, these tumblers are 100% dishwasher safe.Whether you're looking to upgrade your home kitchen or a professional bar / restaurant, Bormioli Rocco's extensive selection of glassware offers the perfect Italian blend of fashion and function. Shop the range today. 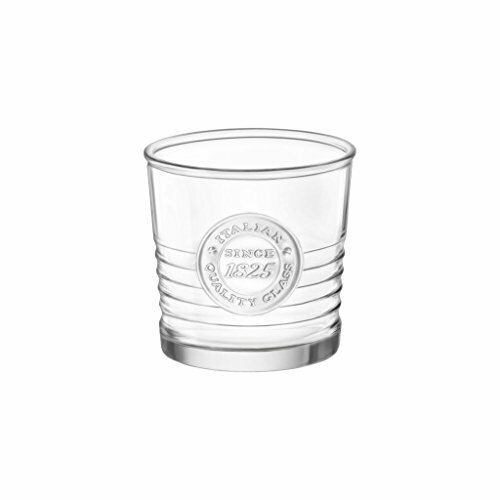 Bormioli Rocco Officina 1825 Water Glass is embossed with "Italian Quality Glass Since 1825". 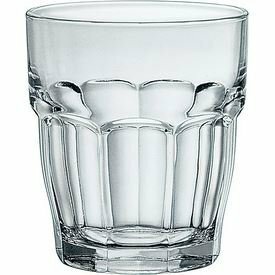 Want more Bormioli Rocco Glass Highball Glass similar ideas? Try to explore these searches: Style Headlights, 1201 12 Volt Battery, and Antique Brass Flush Mount.